Take me out to the ball game! Spend an afternoon at a ballpark without having to worry about peanuts. Great news for people managing peanut allergies, 25 of the 30 MLB teams and 17 Minor League teams offer peanut allergy-friendly games! Whether in your hometown or along your summer travels, we have the whole list that you can sort by state or month. 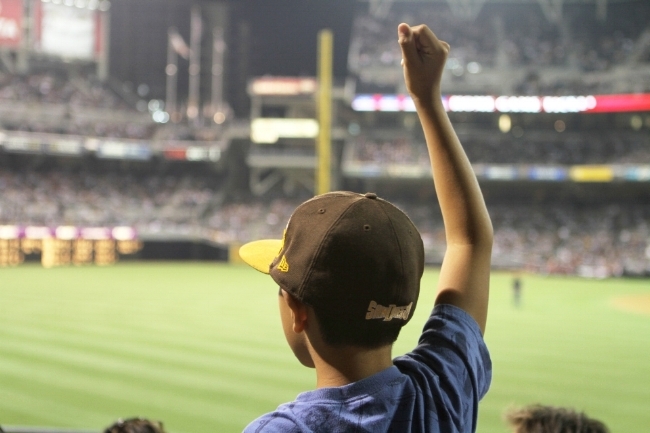 A huge high-five to the Arizona Diamondbacks, Oakland A’s and the Tampa Bay Rays who go above and beyond and make their ballpark safe for peanut allergies for most or every game! Peanut-Free Night! The ballpark goes under a complete cleaning to remove all traces of peanut. All peanuts and peanut products will also be removed from the ballpark to allow fans with peanut allergies to enjoy America's favorite pastime in complete comfort. For almost every home game in 2018, the Diamondbacks reserve a suite for fans with peanut allergies and their guests. The hospitality manager says the suite and its private bathroom receive a general cleaning the night before a game, but they can't guarantee that fans in neighboring suites will not be eating peanuts. Upcoming Dates: Peanut-free suite available for most home games. The Dodgers are hosting Peanut Allergy-Friendly Night on Saturday, July 30. For this game, Executive Club level seats will be reserved for fans with peanut allergies and their families. This area features in-seat service, a full bar and new food and beverage options. The Oakland Athletics hit a home run with food allergy families when they became the first team in the major league to offer a peanut-controlled zone for all home games in 2018! No peanuts are allowed in Loge 3, the designated seating area, and signs alert other fans to respect this request. Before the gates open, the area is cleaned and checked for peanuts, but it doesn’t have a separate bathroom or concessions. Peanut-controlled seating area: Preparations for the game includes power washing the the seating section and removing items with peanut related ingredients in the area, with emergency responders nearby and “No Peanut Zone” signs. Fans will be educated about nut allergies. There will be no in-park sales of peanuts, peanut oil and products with peanut ingredients in support of Peanut-Free Night. The San Jose Giants are supporting families with peanut allergies by offering peanut allergy-friendly games in June! The Rockies’ peanut-controlled game day will be on September 3rd against the San Francisco Giants, hosted in the Mezzanine Party Suites. All fans who attended were required to fill out and submit signed waivers to the Colorado Rockies Baseball Club. The Rays can accommodate fans with peanut allergies for most home games. Call ahead to see if a suite can be reserved and designated peanut-free for a specific date. Prior to the start of the game, the reserved suite will be cleaned, but there is no private bathroom. Upcoming Dates: Peanut-free suites available at most home games. The Gwinnett Stripers are making the ball park safe for those with peanut allergies by offering a game on June 10th where it will be a peanut allergy-friendly park. On July 15, no nuts or nut products will be allowed in the designated sections, and the concession stand closest to this area will not be selling nuts or anything that contains nuts. The organizers also say that the seating area will be cleaned and checked prior to the start of the game. Peanut-Free Night! Your Cougars are hosting a peanut-free night so that our fans with allergies can experience the fun of a Cougars game without worry! Please note, certain food items will NOT be available for this game. Peanut Free Night! Enjoy the thrill of baseball without the worry. Dozer Park will be peanut free for the night allowing fans with allergies to enjoy the games! Peanut Allergy Awareness Night! So that all fans can enjoy a TinCaps game, even those with severe peanut allergies, no peanut or peanut-related products will be served on this night. The team is selling tickets to a peanut-free area in the Owner’s Suite for the game on Sunday, June 3. The peanut-free suite costs $19 per person. That includes a game ticket, a South Bend Cubs hat, hot dogs, hamburgers, chips and soft drinks. 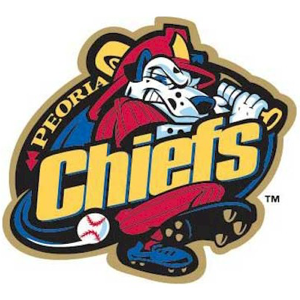 Ticket Info: People interested in purchasing tickets can call the South Bend Cubs at (574)-235-9988 or stop by the Box Office at Four Winds Field, located at 501 W. South Street. Peanut Allergy Awareness Night: To benefit families and children with peanut allergies, the Bats will play without peanuts, and we're asking all fans attending the game to do the same as part of the organization's Peanut Allergy Awareness Night. No peanuts or any peanut-related product made with nut ingredients will be sold or be permitted at Slugger Field throughout the entire game. Peanut Allergy-Friendly Game! To accommodate people with peanut allergies, the Shrine will feature no in-park sales of peanuts or products containing peanut ingredients. For select games during the 2018 season, a Peanut Allergy Suite will be available on the Oriole Park Club Level at Camden Yards. The suite, which will be cleaned thoroughly before each game, is reserved for peanut allergic fans and their families. Tickets are going fast for the Boston Red Sox’ upcoming Peanut Allergy Friendly games! For these games, the Red Sox designate a section in the right field terrace, which is cleaned thoroughly before the first pitch. Peanuts are prohibited from being sold or consumed in this section, and signage asks neighboring fans to keep peanuts out of the area. The Tigers’ peanut allergy-friendly games were on April 21, April 22, and May 26. To purchase a ticket, families were required to fill out and submit a waiver and could purchase a maximum of four tickets. During the peanut friendly days, the Tigers offered a limited peanut-free food menu for those who wished to purchase concessions at the park. This season, the Minnesota Twins are helping to make baseball games more accessible for fans with peanut allergies. The Twins’ private, open-air balconies above left field will be the peanut-controlled zone on specific dates, and families will be able to purchase peanut-free ballpark concessions in this area. The Royals go the extra mile to accommodate food allergy families at Kauffman Stadium. During select regular season games, the Joe Burke Suite will be reserved for people with peanut allergies and their families. The suite, which is cleaned extensively before the gates open, has a private bathroom, lounge and select items from the team store, limiting the need to leave the suite. The ticket price, which ranges from $65 to $75, also includes peanut-friendly foods like hot dogs, popcorn, chips and salsa, and rice krispie treats. For one game this season, the Cardinals designated peanut-free sections in the left and right field pavilions. All seats in these sections were cleaned before the gates open. No peanuts were sold in these sections, and the ushers are trained to look out for people bringing nut-based snacks near the area. The Storm Chasers host their annual Peanut Free Night, with a thorough cleaning of the ballpark prior to the evening's game. No peanut products will be allowed into the park or sold for that night's game. The Trenton Thunder are hosting fans with peanut allergies at their peanut allergy-friendly games this summer! The Mets hosted their 8th annual Peanut-Controlled Suite Day on April 15. No peanuts were allowed in the Empire Party Suites 201, 202 and 203, which were power-washed and cleaned thoroughly before the games. Ticket prices included a peanut-free menu. Peanut allergic Yankees fans can watch all the action from the Party City Party Suite on designated dates in July. Tickets include nut-free ballpark snacks and non-alcoholic drinks. The suite, which has a private bathroom and indoor lounge, will be cleaned prior to the game. Please note: the Yankees require a signed and notarized waiver prior to ticket pick-up. The Las Vegas 51s are hosting peanut allergy-friendly games this summer. Check out the ticket info to join in the fun! Peanut-free games return to Progressive Field in 2018. Fans with peanut allergies can buy tickets to a designated suite — Suite 316 — for $50 per ticket. The fan services department says the ballpark goes to great measures to make sure this area is scrubbed down completely before the gates open. Ticket Info: Visit the Indians' peanut-free page and use special offer code “peanut.” Offer expires two weeks prior to the game. Call 216-420-4162 with questions. Join the fun at Eastwood Field this summer as the Mahoning Valley Scrappers host peanut allergy families at their ball park! This season, the Phillies are designating Corporate Suites 2 and 3, located on Suite Level of Citizens Bank Park a their peanut-reduced suites for select games. Peanuts will not be allowed in these suites for these seven games. Tickets include a peanut-free menu of food and non-alcoholic beverages. To pick up your tickets, head to the desk outside of the West-Suite and Club Entrance. Ticket Info: Visit the Phillies' peanut-free page. Enter the password PRS to purchase. Maximum 4 tickets per order. For more details, contact Andrew Barry at 215-218-5106 or abarry@phillies.com. On May 20, the Pirates have reserved the Miller Lite Rooftop for people with peanut allergies and their families. The tickets included a $5 credit for concessions or merchandise. All children ages 14 and under will receive a warm-up shirt and get an opportunity to run the bases after the game. The Pawtucket Red Sox are pleased to announce that they have designated three home games during the 2018 season as Peanut Allergy Friendly Nights at McCoy Stadium. Peanut products will not be sold anywhere throughout the ballpark during those two games. We hope those with peanut allergies who have always wanted to enjoy a game, will be able to join us, leave their worries behind, and root, root, for the home team. The Texas Rangers have designated peanut-free suites 234B and 235A for their July 1st game against the Boston Red Sox. The suite, which has a private bathroom, is thoroughly cleaned before the game, and peanuts are not permitted inside. Tickets are $30 each. The Potomac Nationals are reserving a special night for fans with peanut allergies to enjoy a peanut allergy-friendly game on July 25th! Sunday Funday Flying Squirrels Youth Football Giveaway & Peanut-Free Game Sundays in Funnville mean free stuff! The first 1,000 fans 14 & under will receive a free Flying Squirrels youth football. It's also a Kids Club Sunday and peanut-free game thanks to Auvi-Q. Play catch on the field starting at 12:15 p.m., and kids run the bases after the game. Gates open at 12 p.m. -- While reasonable efforts will be made to restrict peanut products including performing additional cleaning in advance of the game, we cannot guarantee the absence of peanut particles and residue. Fans with peanut allergies should take all precautions that they customarily take in public places with potential exposure. Ticket Info: Visit the Mariners' peanut-free page and use "PEANUT" as the special offer code. The Washington Nationals are offering a peanut-sensitive seating area at numerous home games. Once again this season, the Toronto Blue Jays are offering a peanut- and nut-reduced seating during several home games. Sections 204L and 205R will be reserved for people with peanut allergies and their families, and a special ticket pick-up desk will be set up outside of the John Street Terrace. The suite is cleaned and checked before the gates open, and additional staff will be on hand to help prevent other fans from bringing nut-based products into the zone.